Hailing from the East Flatbush section of Brooklyn (also known as “The 90s,”), Corey Finesse always had a strong passion for music. Recording his very first song at the age of 9, he did not fully take his talents seriously until the 8th grade when his teacher caught him writing lyrics in class. Confiscating his lyrics and reading them aloud to the classroom full of students in hopes of embarrassing him, the students and teacher actually took a liking to the song. This is when Corey discovered his calling. Under tutelage of Mona Scott associate Tiffany Hardin, the youngster would go on to perform at the Brooklyn Hip Hop Festival where he won for best freestyle performance. The progress would prove to be fleeting as he soon fell victim to the trappings of the street life. It is then that Corey grew closer to his neighborhood friends Bobby Shmurda, Rowdy Rebel, Jah Jah, Cueno and the now deceased Shyste, all of whom the world would come to know as GS9. Over 4 years ago, the collective looked to leave behind the street life by shifting their focus to music. It was then that Corey Finesse’s work ethic and talents were fine tuned. Corey experienced his first glimpse of stardom as GS9 became a global phenomenon in 2014 bolstered by the hit singles “Hot N*gga” and “Shmoney Dance.” Things took a turn for the worst at the end of 2014 when several members of the collective were arrested in connection with a highly publicized investigation which rocked the Hip Hop world. Luckily for Corey Finesse, he was not one of the persons of criminal interest and he was released after being briefly detained during the initial raid on Quad Studios in Times Square. Still reeling from the death of Shyste and the arrest of his comrades, Corey continues to create new material. Further expanding his range as an artist, experimenting with various different sounds and styles, one of Corey’s biggest fans soon came calling. Junior Galette, of the NFL’s Washington Redskins had listened to Corey’s music all throughout his rehabilitation process after a season ending injury and signed the 23-year-old to his NuLa Entertainment imprint. With fans still clamoring for more material, Corey has been hard at work in the studio crafting his forthcoming album “God’s Plan,” which has not yet received a release date. Corey Finesse offers his sophomore album less than a year after the release of his debut project. 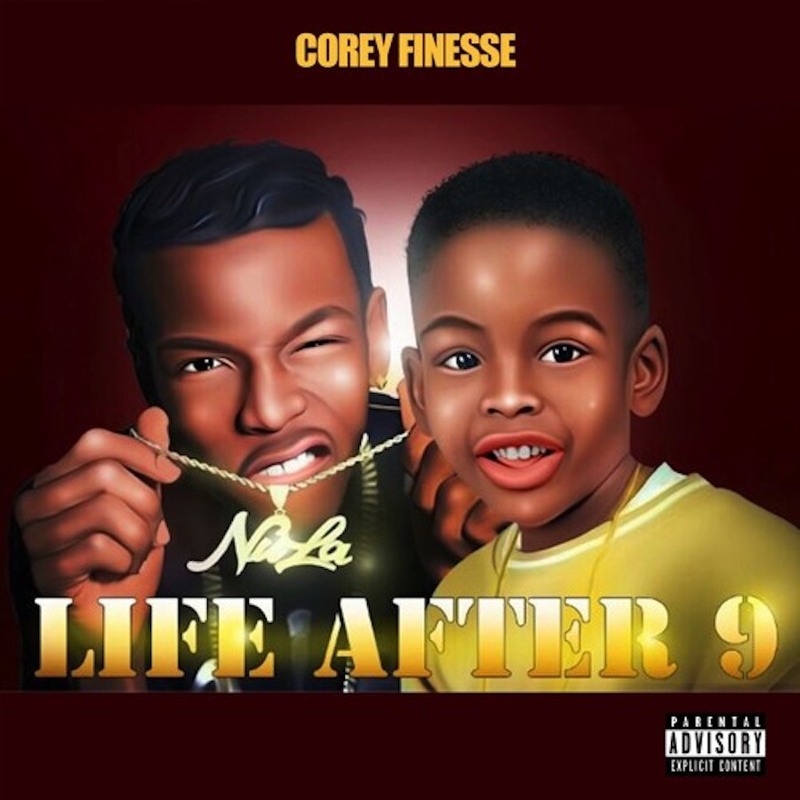 "Life After 9" features Corey's label-mates, Howie Dodat and Marc Mavrick. Finesse's first project titled, "Kaka Show" was released in October of 2016. Head to Corey's SoundCloud to stream the project in full!